The Sketchbook Skool Beginnings class started yesterday. This is the first Klass I have taken in a long time! The first assignment was to draw and feel. The guidelines were to pick an object to draw that evokes some feeling (bad or good), use a color wash in the background, add an opaque color in the shape of the object(s) and then do a line drawing in ink over the color. And, add WORDS! So, for me, it’s really the words that are the challenge! It was hard to decide what to choose, so I thought about that for awhile. I love the sea urchins and I find them challenging to render, so that is what I went with. 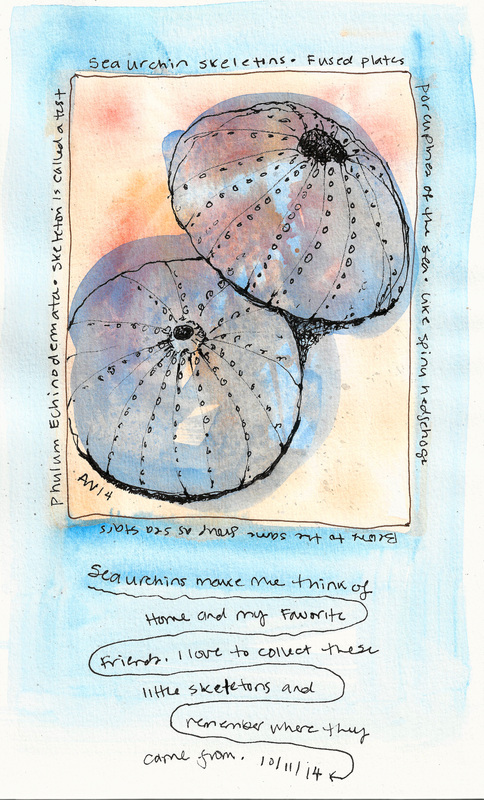 Sea Urchins remind me of walks on the beach and also they bring to mind a couple of very special friends that share my love of beach collecting. I have gathered a lot sea urchins over time and I have tons of them to choose from. Most of them are from the Maine coast, but some have been given to me and some are from other places. These are from Maine. This assignment prompted me to learn more about the sea urchins…because I needed WORDS! That part I really liked. As the time goes by I will get better at the word journaling part of all this. I like the idea of capturing your feelings or part of your day in an illustrated and written journal. I am looking forward to this Klass. Below is my warm-up sketch for the journal page. Doubling as my #inktober drawing! 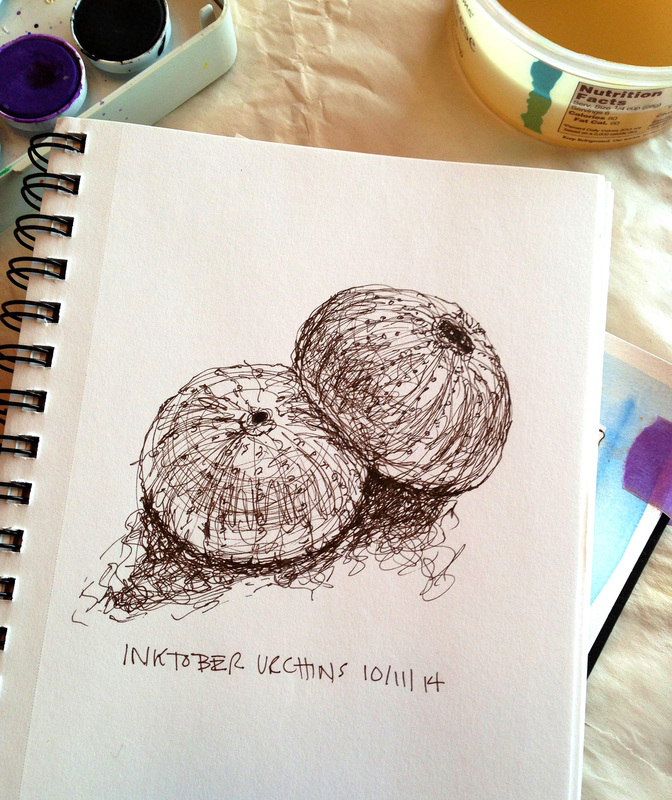 This entry was posted in Uncategorized and tagged #inktober, Beginnings, journal, sea urchins, sketch, sketchbook skool. Bookmark the permalink.